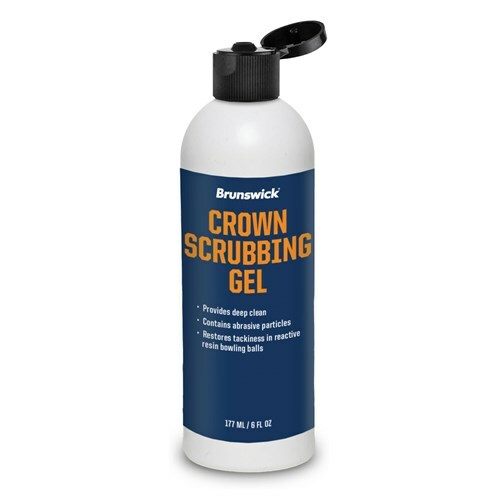 The Brunswick Crown Scrubbing Gel uses abrasive particles to achieve a deep clean for your bowling ball. This deep clean helps restore tackiness in reactive resin bowling balls. Due to the time it takes to produce the Brunswick Crown Scrubbing Gel 6 oz ball it will ship in immediately. We cannot ship this ball outside the United States.